« We buy old jewelry at excellent prices. Do you have gold you’re looking to sell? We pay fair prices! We pay fair prices for gold – we help you meet your financial goals. These days it is very difficult to live within your monthly income. In need of extra cash? Selling your unwanted gold can help you get the cash you need to pay off your expenses. Clean out the unused gold from your drawers and bring them over to Paul Albarian. After all, you’ll never know the true worth of your gold without getting an appraisal from an experienced and professional gold dealer. Many people have valuable gold around their home gathering dust. 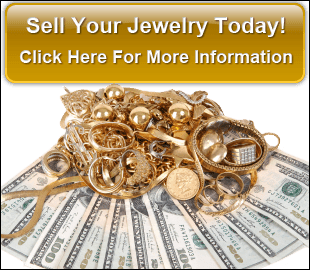 Whether it was a gift or personally purchased, or some jewelry gathing dust in the drawers never to be worn again – If you happen to have any gold that you no longer want, you can easily turn it into cash. Many people procrastinate because they don’t know where to sell their gold. With so many dealers claiming to offer you the best prices for your gold, it’s easy to feel uncertain as to who is really going to give you the best price. 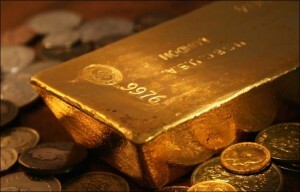 Many people are hesitant to sell their gold because they don’t know where or who to turn to. At Paul Albarian & Associates, we offer competitive prices for your gold and as a reputable gold dealer, you can rest assured that you will receive an honest offer for your valuables. Paul Albarian & Associates, LLC has a five-star rating on Yelp! and an A+ rating with the Better Business Bureau. We believe in conducting honest business and our reviews reflect that. With many satisfied customers, we maintain a reputable and trustworthy business. Having over 24 years of experience as a qualified and licensed gold dealer, you can expect professional advice and services. Come in for a free verbal appraisal on your gold. Want to know how much your gold is worth? We can offer you a free, no obligation appraisal. We will carefully examine your gold and provide you with an accurate appraisal. If you decide to sell your gold to us, you can walk away with cash that very same day.